Fabrication and characterization of SPR based fiber optic sensor utilizing bi-layers of ITO-Ag is presented. 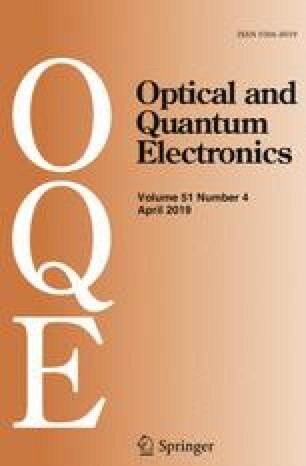 Effects of thicknesses of ITO and Ag layers on the sensitivity of sensor are studied experimentally. Sensitivity ascends as the thickness of Ag layer is enhanced till 30 nm and it starts decreasing as the thickness of Ag layers is further increased beyond 30 nm. SPR sensor based on 40 nm thick ITO layer-30 nm thick Ag layer demonstrates highest sensitivity. This work is financially supported by Defence Research and Development Organization (DRDO), India through Project Number ERIP/ER/DG-ECS/990116205/M/01/1687. Navneet K. Sharma is also thankful to Satyendra K. Mishra for the motivation and support.